Mary C. Stiner is Regents’ Professor in the School of Anthropology at the University of Arizona. She conducts archaeological research on human ancestors, paleoeconomics and social evolution across the Mediterranean Basin. She is particularly interested in the ever-changing relationship between human societies and Eurasian ecosystems. With an expertise in zooarchaeology, she has worked on a wide range of topics in human evolution, Paleolithic archaeology, hunter-gatherer ecology, the transition from hunter-gatherer to early village economies, and early art as media for visual communication. Leverhulme Trust Visiting Professorship at University College London, London, UK. Archaeological research on human ancestors, paleoeconomics and social evolution across the Mediterranean Basin. Expertise in zooarchaeology, taphonomy, ecology, hunter-gatherers, the transition from hunter-gatherer to early village economies, animal and plant domestication, and early art as media for visual communication. Stiner, M. C. (2018). The Early Settlement of Aşıklı Höyük: Essays in Honor of Ufuk Esin (Ozbasaran M, Duru G, Stiner MC, Eds) . Istanbul (Turkey): Ege Press. Stiner, M. C., Howell, F. C., ArsebĂĽk, G., Kuhn, S. L., Ă–zbaĹźaran, M., & C., M. (2010). Culture and Biology at a Crossroads: The Middle Pleistocene Record of Yarimburgaz Cave (Thrace, Turkey). .
Stiner, M. C., & Kuhn, S. L. (2019). The Antiquity of Hunter Gatherers revisited. In Foraging in the Past: Archaeologial Studies of Hunter-Gatherer Diversity (pp 247-268). University of Colorado Press. Stiner, M. C. (2018). Buitenhuis H, Peters J, Pöllath N, Stiner MC, Munro ND, Saritaş Ö. 2018. Aşikli Höyük: The faunal remains from levels 3 and 2: Changes towards full domestication. In: The Early Settlement of Aşıklı Höyük: Essays in Honor of Ufuk Esin. Edited by M Özbaşaran, G Duru, and MC Stiner. Ege Press, Istanbul, pp. 281-323.. In (M Özbaşaran, G Duru, and MC Stiner, Eds) The Early Settlement of Aşıklı Höyük (pp 281-323.). Istanbul (Turkey): Ege Press. Stiner, M. C. (2018). Kuhn SL, Stiner MC. 2018. Antiquity of hunter-gatherers revisited. In: (Lemke A, Ed.) Foraging in the Past; Archaeological Studies of Hunter-gatherer Diversity. University of Colorado Press, Boulder, pp. 247-268.. In (Lemke A, Ed.) Foraging in the Past (pp 247-268.). Boulder, CO: University of Colorado Press. Stiner, M. C. (2018). Quade J, Stiner MC, Copeland A, Clark AE, Özbaşaran M. 2018. Radiocarbon dating of Aşıklı Höyük. In: The Early Settlement of Aşıklı Höyük: Essays in Honor of Ufuk Esin. Edited by M Özbaşaran, G Duru, and MC Stiner. Ege Press, Istanbul, pp. 43-56.. In (M Özbaşaran, G Duru, and MC Stiner, Eds) The Early Settlement of Aşıklı Höyük (pp 43-56.). Istanbul (Turkey): Ege Press. Stiner, M. C. (2018). Stiner MC, Bailey KS, Cristidou, R, Munro ND. 2018. Zooarchaeological evidence of human-animal interactions in the early PPN settlement at Aşıklı Höyük. In: The Early Settlement of Aşıklı Höyük: Essays in Honor of Ufuk Esin. Edited by M Özbaşaran, G Duru, and MC Stiner. Ege Press, Istanbul, pp. 219-247.. In (M Özbaşaran, G Duru, and MC Stiner, Eds) The Early Settlement of Aşıklı Höyük (pp 219-247.). Istanbul (Turkey): Ege Press. Stiner, M. C. (2018). Stiner MC, Duru G, Özbaşaran M. 2018. Conclusion. In: The Early Settlement of Aşıklı Höyük: Essays in Honor of Ufuk Esin. Edited by M Özbaşaran, G Duru, and MC Stiner. Ege Press, Istanbul, pp. 437-443.. In (M Özbaşaran, G Duru, and MC Stiner, Eds) The Early Settlement of Aşıklı Höyük (pp 437-443.). Istanbul (Turkey): Ege Press. Stiner, M. C. (2018). Stiner MC. 2018. On the co-evolution of hearth and home-making during the Middle Pleistocene in the Levant. In: (Pope M, McNabb J, Gamble C, Eds.) Crossing the Human Threshold: Dynamic Transformation and Persistent Places during the Middle Pleistocene. Routledge, London & New York, pp. 83-105.. In (Pope M, McNabb J, Gamble C, Eds.) Crossing the Human Threshold (pp 83-105.). London & New York: Routledge. Stiner, M. C., &amp, M. S., & Feeley-Harnik, G. (2011). Energy and Ecosystems. U California Press. Stiner, M. C., Smail, D., Earle, T., & Stiner, M. (2011). Goods. U California Press. Stiner, M. C., T.K., E., & A., S. (2011). Scale. U California Press. Kuhn, S. L., & Stiner, M. C. (2010). Chapter 9: Summary of findings and conclusion (Culture at a Crossroads). Ege Publications, Istanbul. Stiner, M. C., & Kuhn, S. L. (2010). Tracking the carbon footprint of Paleolithic societies in Mediterranean ecosystems.. Springer. Stiner, M. C., & none, . (2010). A taphonomic study of bone assemblage formation and artifact-bear associations in Yarimburgaz Cave.. Ege Publications, Istanbul. Stiner, M. C., , F. H., , S. K., , W. F., Ă–zbaĹźaran, M., & Stiner., M. (2010). The caves of Yarimburgaz: Geological context and history of investigation.. Ege Publications, Istanbul. Stiner, M. C., & Stiner, M. C. (2009). The antiquity of large game hunting in the Mediterranean Paleolithic: Evidence from mortality patterns.. Oxbow Books for the American Schools of Prehistoric Research, Oxford. Stiner, M. C., , J. B., Munro, N. D., & Surovell., T. A. (2008). Modeling Paleolithic Predator-Prey Dynamics and the Effects of Hunting Pressure on Prey â€. Springer Verlag. Stiner, M. C. (2007). Taphonomy.. Encyclopedia of Archaeology, Academic Press. Stiner, M. C., Kuhn, S. L., & M., C. S. (2007). Body ornamentation as information technology: towards and understanding of the significance of early beads.. McDonald Institute Monographs, McDonald Institute for Archaeological Research, Cambridge University. Stiner, M. C., & Stiner, M. (2006). Middle Paleolithic subsistence ecology in the Mediterranean Region.. Springer Science and Media, Inc., New York. Stiner, M. C., Meignen, L., O., B., & Stiner, M. C. (2006). Middle Paleolithic settlement patterns in the Levant.. Springer, New York. Stiner, M. C. (2018). Munro ND, Bar-Oz G, Meier JS, Sapir-Hen L, Stiner MC, Yeshurun Y. 2018. The Emergence of Animal Management in the Southern Levant. Nature Scientific Reports (2018) 8:9279|DOI:10.1038/s41598-018-27647-z.. Nature Scientific Reports , (2018) 8:9279, |DOI:10.1038/s41598-018-27647-z.. doi:DOI:10.1038/s41598-018-27647-z. Stiner, M. C. (2018). Starkovich BM, Munro ND, Stiner MC. 2018. Late Glacial Subsistence Strategies and Aquatic Resource Use in Southern Greece. Quaternary International 465(2018): 162-176.. Quaternary International , 465((2018)), 162-176..
Stiner, M. C. (2018). Xie L, Stiner MC. 2018. Raw material preferences for scapular tools: Evaluating water buffalo age bias in the early Hemudu culture, China. In review with International Journal of Osteoarchaeology 28(6): 645-655.. International Journal of Osteoarchaeology , 28(6), 645-655..
Stiner, M. C. (2017). Stiner MC. 2017. Love and death in the Stone Age: What constitutes first evidence of mortuary treatment of the human body? Biological Theory 12(4): 248-261.. Biological Theory . Stiner, M. C. (2016). Grimstead DN, Quade J, Stiner MC. 2016. Isotopic evidence for long-distance mammal procurement, Chaco Canyon, New Mexico, USA. Geoarchaeology: An International Journal 0 (2016): 1–20.. Geoarchaeology: An International Journal . Stiner, M. C. (2016). Stiner MC, Kuhn SL. 2016 Are we missing the "sweet spot" between optimality theory and niche construction theory in archaeology? Journal of Anthropological Archaeology 44: 177-184.. Journal of Anthropological Archaeology . Stiner, M. C., & Kuhn, S. L. (2016). Are we missing the "sweet spot" between optimality and niche construction theories in archaeology?. Journal of Anthropological Archaeology , 44, 177-184. Stiner, M. C., Grimstead, D. N., & Quade, J. (2016). Isotopic evidence for long-distance mammal procurement, Chaco Canyon, New Mexico, USA.. Geoarchaeology: An International Journal , 0, 1-20. Baykara, I., Mentzer, S. M., Stiner, M. C., Gulec-Savas, E., & Kuhn, S. L. (2015). The Middle Paleolithic occupations of Üçağızlı II Cave (Hatay, Turkey. Journal of Archaeological Science Reports , 4, 409-426. Stiner, M. C. (2015). Baykara I, Mentzer SM, Stiner MC, Asmerom Y, Güleç ES, Kuhn SL. 2015. The Middle Paleolithic occupations of Üçağızlı II Cave (Hatay, Turkey): Geoarcheological and archeological perspectives. Journal of Archaeological Science, Reports 4(2015): 409-426.. Journal of Archaeological Science, Reports . Stiner, M. C. (2015). Munro ND, Stiner MC. 2015. Zooarchaeological evidence for early Neolithic colonization at Franchthi Cave (Peloponnese, Greece). Current Anthropology 56(4): 596-603.. Current Anthropology . Stiner, M. C., & Munro, N. D. (2015). Zooarchaeological evidence for early Neolithic colonization at Franchthi Cave (Peloponnese, Greece).. Current Anthropology . (in press) Munro ND, Stiner MC. Stiner, M. C., Grimstead, D., & Quade, J. (2015). Isotopic (87Sr/86Sr and δ18Oapatite) Sourcing of Archaeofaunal Remains from Pueblo Bonito, Chaco Canyon, New Mexico.. Geoarchaeology . (in revision) Grimstead DN, Quade J, Stiner MC. Stiner, M. C. (2014). Finding a common band-width: Causes of convergence and diversity in Paleolithic beads.. Biological Theory , 9(1), 51-64. Stiner, M. C. (2014). Quade J, Li,S, Stiner,MC. Clark,AE, Mentzer SM, Özbaşaran M. 2014. Radiocarbon dating, mineralogy, and isotopic composition of hackberry endocarps from the Neolithic site of Aşıklı Höyük, Central Turkey. Radiocarbon 56(4): S17-S25.. Radiocarbon . Stiner, M. C. (2014). Stiner MC, Buitenhuis H, Duru G, Kuhn SL, Mentzer SM, Munro ND, Pöllath N, Quade J, Tsartsidou G, Özbaşaran M. 2014. A forager-herder trade off, from broad-spectrum hunting to sheep management at Aşıklı Höyük, Turkey. Proceedings of the National Academy of Sciences 111(23): 8404-8409.. PNAS (Proc. Nat. Acad. Sci.) . Stiner, M. C. (2014). Stiner MC. 2014. Finding a common band-width: Causes of convergence and diversity in Paleolithic beads. Biological Theory 9(1): 51-64.. Biological Theory . Stiner, M. C., Buuitenhuis, H., Duru, G., Kuhn, S., Mentzer, S., Munro, N., Pollath, N., Quade, J., Tsartsidou, G., & Ozbasaran, M. (2014). A forager-herder trade off, from broad-spectrum hunting to sheep management at Aşıklı Höyük, Turkey.. PNAS , 111(23), 8404-8409. Stiner MC, Buitenhuis H, Duru G, Kuhn SL, Mentzer SM, Munro ND, Pöllath N, Quade J, Tsartsidou G, Özbaşaran M. 2014. Stiner, M. C., Quade, J., Li, S., Clark, A., Mentzer, S., & Ozbasaran, M. (2014). Radiocarbon dating, mineralogy, and isotopic composition of hackberry endocarps from the Neolithic site of Aşikli Höyük, Central Turkey.. Radiocarbon , 56(4), S17-S25. Quade, J, Li, S, Stiner, MC. Clark, AE, Mentzer, SM, Ozbasaran, M. 2014. Stiner, M. C. (2013). An unshakeable Middle Paleolithic? Trends versus conservatism in the predatory niche and their social ramifications. Current Anthropology , 54(S8), S288-S304. Stiner, M. C. (2013). Competition theory and the case for Pleistocene hominin-carnivore co-evolution. Journal of Taphonomy , 10(3-4), 131-149. Note that this volume is officially recorded as coming out in December of 2012, but in fact did not appear until well into 2013, and I have not listed this publication as completed/published in my account of activities in prior years. Stiner, M. C. (2013). Stiner MC, Kuhn SL, Güleç E. 2013. Early Upper Paleolithic shell beads at Üçağizli Cave I (Turkey): Technology and the socioeconomic context of ornament life-histories. Journal of Human Evolution 64: 380-398.. Journal of Human Evolution . Stiner, M. C. (2013). Stiner MC. 2013. An unshakeable Middle Paleolithic? Trends versus conservatism in the predatory niche and their social ramifications. Current Anthropology 54(S8): S288-S304.. Current Anthropology . Stiner, M. C., Kuhn, S. L., & Gulec, E. (2013). Early Upper Paleolithic shell beads at Ucagizli Cave I (Turkey): Technology and the socioeconomic context of ornament life-histories. Journal of Human Evolution , 64, 380-398. Stiner, M. C. (2012). Stiner MC, Munro ND, Sanz M. 2012. Carcass damage and digested bone from mountian lions (Felis concolor): Implications for carcass persistence as a function of prey age. Journal of Archaeological Science 39(4): 896-907.. Journal of Archaeological Science . Stiner, M. C. (2012). Stiner MC, Munro ND, Starkovich BM. 2012. Material input rates and dietary breadth during the Upper Paleolithic-Mesolithic at Franchthi and Klissoura 1 Caves (Peloponnese, Greece). Quaternary International 275: 30-42.. Quaternary International . Stiner, M. C. (2012). Stiner MC. 2012. Competition theory and the case for Pleistocene hominin-carnivore co-evolution. Journal of Taphonomy 10(3-4): 131-149.. Journal of Taphonomy . Stiner, M. C., Munro, N. D., & Sanz, M. (2012). Carcass damage and digested bone from mountian lions (Felis concolor): Implications for carcass persistence as a function of prey age.. Journal of Archaeological Science . Stiner, M. C., Munro, N. D., & Starkovich, B. M. (2012). Material input rates and dietary breadth during the Upper Paleolithic-Mesolithic at Franchthi and Klissoura 1 Caves (Peloponnese, Greece).. Quaternary International . Colonese, A. C., Mannino, M. A., Bar-Yosef, M. D., Fa, D., Finlayson, J. C., Lubell, D., & Stiner, M. C. (2011). Marine mollusc exploitation in Mediterranean prehistory: An overview.. Quaternary International . Stiner, M. C. (2011). Colonese AC, Mannino MA, Bar-Yosef Mayer DE, Fa D, Finlayson JC, Lubell D, Stiner MC. 2011. Marine mollusc exploitation in Mediterranean prehistory: An overview. Quaternary International 239: 86-103.. Quaternary International . Stiner, M. C. (2011). Kuhn SL, Stiner MC. 2011. Lewis R. Binford, 1931-2011 (In Memoriam). Evolutionary Anthropology 20: 121-122.. Evolutionary Anthropology . Stiner, M. C. (2011). Stiner MC, Barkai R, Gopher A. 2011. Hearth-side socioeconomics, hunting and paleocology during the late Lower Paleolithic at Qesem Cave, Israel. Journal of Human Evolution 60(2): 213-233.. Journal of Human Evolution . Stiner, M. C. (2011). Stiner MC, Munro ND. 2011. On the Evolution of Paleolithic Diet and Landscape at Franchthi Cave (Peloponnese, Greece). Journal of Human Evolution 60(5): 618-636.. Journal of Human Evolution . Stiner, M. C., & Munro, N. (2011). On the Evolution of Paleolithic Diet and Landscape at Franchthi Cave (Peloponnese, Greece).. Journal of Human Evolution . Stiner, M. C., Barkai, R., & Gopher, A. (2011). Hearth-side socioeconomics, hunting and paleocology during the late Lower Paleolithic at Qesem Cave, Israel.. Journal of Human Evolution . Stiner, M. C., Kuhn, S., & Stiner, M. (2011). Lewis R. Binford, 1931-2011 (In Memoriam).. Evolutionary Anthropology . Meignen, L., Bar-Yosef, O., Stiner, M., Kuhn, S., Goldberg, P., & Weiner, S. (2010). Apport des analyses minĂ©ralogiques (en spectromĂ©trie infrarouge Ă transformĂ©e de fourier) Ă l'interprĂ©tation des structures anthropiques: Les concentrations osseuses dans les niveaux MoustĂ©riens des Grottes de KĂ©bara et Hayonim (IsraĂ«l).. PALEO (France) . Stiner, M. C. (2010). Kuhn SL, Pigati J, Karkanas P, Koumouzelis M, Kozlowski J, Ntinou M, Stiner MC. 2010. Radiocarbon dating results for the early Upper Paleolithic of Klissoura 1. Eurasian Prehistory 7(2): 37-46.. Eurasian Prehistory . Stiner, M. C. (2010). Meignen L, Bar-Yosef O, Stiner MC, Kuhn S, Goldberg P, Weiner S. 2010. Apport des analyses minéralogiques (en spectrométrie infrarouge à transformée de fourier) à l’interprétation des structures anthropiques: Les concentrations osseuses dans les niveaux Moustériens des Grottes de Kébara et Hayonim (Israël). PALEO Dec., Supplément 3: 93-107.. PALEO . Stiner, M. C. (2010). Starkovich BM, Stiner MC. 2010. Upper Paleolithic animal exploitation at Klissoura Cave 1 in southern Greece: Dietary trends and mammal taphonomy. Eurasian Prehistory 7(2): 107-132.. Eurasian Prehistory . Stiner, M. C. (2010). Stiner MC, Kozlowski J, Kuhn SL, Karkanas P, Koumouzelis M. 2010. Klissoura Cave 1 and the Upper Paleolithic of Southern Greece. Eurasian Prehistory 7(2): 309-321.. Eurasian Prehistory . Stiner, M. C. (2010). Stiner MC. 2010. On matters of precocity and scale (Comment to Jerardino). Pyrenae (Revista De Prehistòria I Antiguitat de la Mediterrània Occidental) 41(2): 191-196.. Pyrenae (Revista De Prehistòria I Antiguitat de la Mediterrània Occidental) . Stiner, M. C. (2010). Stiner MC. 2010. Prey choice, site occupation intensity and economic diversity across the Middle to early Upper Palaeolithic at Üçağızlı Caves I and II (Hatay, Turkey). Before Farming. [Online version 2009/3 (article 3).]. Before Farming . Stiner, M. C. (2010). Stiner MC. 2010. Shell ornaments from the Upper Paleolithic and Mesolithic layers of Klissoura Cave 1 by Prosymnia, Greece. Eurasian Prehistory 7(2): 287-308.. Eurasian Prehistory . Stiner, M. C. (2010). Zhang Y, Stiner MC, Dennell R, Wang C, Zhang S, Gao X. 2010. Zooarchaeological perspectives on the Chinese Early and Late Paleolithic from the Ma’anshan site (Guizhou, South China). Journal of Archaeological Science 37(8): 2066-2077.. Journal of Archaeological Science . Stiner, M. C., & none, . (2010). Prey choice, site occupation intensity and economic diversity across the Middle to early Upper Palaeolithic at ĂśĂ§aÄźizli Caves I and II (Hatay, Turkey).. Before Farming . Stiner, M. C., Zhang, Y., M., C., C., W., & X., G. (2010). Zooarchaeological perspectives on the Chinese Early and Late Paleolithic from the Ma'anshan site (Guizhou, South China).. Journal of Archaeological Science . Stiner, M. C. (2009). Kuhn SL, Stiner MC, Güleç E, Özer I, Yılmaz H, Baykara I, Açikkol A, Goldberg P, Martínez Molina K, Ünay E, Suata-Alpaslan F. 2009. The Early Upper Paleolithic occupations at Üçağızlı Cave (Hatay, Turkey). Journal of Human Evolution 56: 87-113.. Journal of Human Evolution . Stiner, M. C. (2009). Starkovich BM, Stiner MC. 2009. Hallan Çemi Tepesi: High-ranked game exploitation alongside intensive seed processing at the Epipaleolithic-Neolithic transition in Southeastern Turkey. Anthropozoologica 44(1): 41-61.. Anthropozoologica . Stiner, M. C. (2009). Stiner MC, Barkai R, Gopher A. 2009. Cooperative hunting and meat sharing 400-200 kya at Qesem Cave, Israel. Proceedings of the National Academy of Sciences 106(32): 13207-13212.. PNAS Proceedings of the National Academy of Sciences . Stiner, M. C., Barkai, R., Gopher, ., & A., . (2009). Cooperative hunting and meat sharing 400-200 kya at Qesem Cave, Israel. Proceedings of the National Academy of Sciences . Stiner, M. C., Kuhn, S. L., M., C., I., Ă., I., B., P., G., E., Ă., & Suata-Alpaslan, F. (2009). The Early Upper Paleolithic occupations at ĂśĂ§aÄźizli Cave (Hatay, Turkey). Journal of Human Evolution . Stiner, M. C., Starkovich, B., & Stiner, M. C. (2009). Hallan Ă‡emi Tepesi: High-ranked game exploitation alongside intensive seed processing at the Epipaleolithic-Neolithic transition in Southeastern Turkey.. Anthropozoologica . Stiner, M. C., & Kuhn, S. L. (2008). Early Man: A Tribute to the late career of F. Clark Howell.. Journal of Human Evolution . Stiner, M. C., Karkanas, P., R., S., M., B., A., F., & M., C. S. (2007). Evidence for habitual use of fire at the end of the Lower Paleolithic: Site formation processes at Qesem Cave, Israel.. Journal of Human Evolution . Stiner, M. C., Mercier, N., H., V., J.-L., J., S., W., L., M., A., B., S.L., K., A.-M., T., & B., V. (2007). Hayonim Cave: a TL-based chronology for this Levantine Mousterian sequence.. Journal of Archaeological Science . Stiner, M. C., & Kuhn, S. L. (2006). Changes in the â€. Human Ecology . Stiner, M. C., Kuhn, S., & Stiner, M. (2006). What's a mother to do? A hypothesis about the division of labor and modern human origins.. Current Anthropology . Stiner, M. C., Lemorini, C., M., C., , R. S., & R., B. (2006). Use-wear analysis of an Amudian laminar assemblage from Acheuleo-Yabrudian Qesem Cave, Israel.. Journal of Archaeological Science . Stiner, M. C. (2018, Sept 2-7). Stiner et al. “Early caprine management at Aşıklı Höyük, Turkey”, ICAZ Conference, Ankara, Turkey, Sept 2-7. . International Congress of ArchaeoZoology (ICAZ). Ankara, Turkey: ICAZ and METU. Stiner, M. C. (2018, Sept 2-7). Stiner “Causes of diversity and convergence in Paleolithic beads” , ICAZ Conference, Ankara, Turkey, Sept 2-7. . International Congress of ArchaeoZoology (ICAZ). Ankara, Turkey: ICAZ and METU. Stiner, M. C. (2016, April). Middle Pleistocene hominin economics and paleoecology . Crossing the Threshold: Dynamic transformation in hominin societies during the late Middle Pleistocene, Interdisciplinary Workshop. Jersey, UK. Stiner, M. C. (2016, January). Forager storage and risk insulation systems . “Laying up treasures: The deep history of storage, keeping, and collecting”. Radcliffe Institute, Harvard University: Radcliffe Institute for Advanced Studies Exploratory Seminar. Stiner, M. C., & Kuhn, S. L. (2015, April). Behavioral ecology vs niche construction theory: is there any real opposition? . Society for American Archaeology Annual meeting. Stiner, M. C. (2015, December). Finding a common band-width: Causes of convergence and diversity in Paleolithic beads . Plenary speaker, Australian Archaeological Association,. Fremantle/Perth, Australia: Australian Archaeological Association. Stiner, M. C. (2015, October). Love and death in the Stone Age, . 2015 Tucson Downtown Lecture Series. 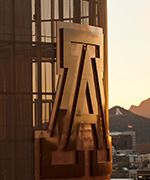 Tucson Fox Theature: UA College of Social and Behavioral Sciences. Stiner, M. C. (2013, March). Two state-transitions in Pleistocene human diets: a zooarchaeological perspective . Symposium: Transition and Stasis in Society and Biology: Models, Theories and Narratives. Venice, Italy: European Centre for Living Technology (ECLT). Stiner, M. C. (2013, September). The Forager-herder trade-off from broad-spectrum hunting to sheep management at Asikli Hoyuk,Turkey. . Fred Wendorf Distinguished Lecture in Archaeology at Southern Methodist University. Southern Methodist University: Department of Anthropology Fred Wendorf Distinguished Lecture series. 2013 Southern Methodist University, Fred Wendorf Distinguished Lecture in Archaeology, 26 September. Stiner, M. C. (2012, 2012-04-01). Ornaments as artifacts and reflections of site function at the early Upper Paleolithic site of ĂśĂ§aÄźizli Cave I (Hatay Province, Turkey) . Paleoanthropology Society Meeting. Memphis, TN. Stiner, M. C. (2012, 2012-06-01). An unshakeable Middle Paleolithic? Trends versus conservatism in predatory niche and their social ramifications . Alternative Paths to Complexity: Evolutionary Trajectories in the Middle Paleolithic and Middle Stone Age. near Stockholm, Sweden. Stiner, M. C. (2012, 2012-11-01). Paleolithic shell beads as information techology . Signs, Symbols and the Archaeological Record. Canberra, Australia. Stiner, M. C. (2012, 2012-12-01). Diets of our archaic human ancestors . The Evolution of Human Nutrition. San Diego. Stiner, M. C. (2011, 2011-03-01). Changes in the Connectedness and Resilience of Paleolithic Systems in the Mediterranean Basin . Invited lecture. University of Las Vegas. Stiner, M. C. (2011, 2011-09-01). Hearth-side socioeconomics, hunting and paleoecology during the late Lower Paleolithic at Qesem Cave, Israel . Invited Annual Frison Institute Lecture. University of Wyoming. Stiner, M. C. (2011, 2011-10-01). The Case of Human-Carnivore Coevolution during the Pleistocene . Hominid-Carnivore interactions during the Pleistocene. Tarragona, Spain. Stiner, M. C. (2010, 2010-10-01). Cave bears and Neanderthals . University College London. Stiner, M. C. (2010, 2010-11-01). Division of labor and diet diversification in the Mediterranean Paleolithic . Oxford University, England. Stiner, M. C. (2010, 2010-11-01). Division of labor and diet diversification in the Mediterranean Paleolithic . University College London. Stiner, M. C. (2010, 2010-11-01). Early Upper Paleolithic subsistence and site formation processes at Ucagizli Cave I . University of Tuebingen. Stiner, M. C. (2010, 2010-11-01). Franchthi Cave: A long story of forager diet and social change in southern Greece . University College London. Stiner, M. C. (2010, 2010-11-01). Hearth-side socioeconomics, hunting and paleoecology during the late Lower Paleolithic at Qesem Cave, Israel . Cambridge University, LCHES, England. Stiner, M. C. (2010, 2010-11-01). Hearth-side socioeconomics, hunting and paleoecology during the late Lower Paleolithic at Qesem Cave, Israel . University of Tuebingen, Germany. Stiner, M. C. (2010, 2010-11-01). Hunters of the late Lower Palaeolithic: Cooperative hunting and a distinct pattern of meat sharing . University of Cologne, Germany. Stiner, M. C. (2010, 2010-12-01). Franchthi Cave: A long story of forager diet and social change in southern Greece . Royal Holloway University of London, England. Stiner, M. C., & none, . (2010, 2010-10-01). Hunters of the late Lower Palaeolithic: Cooperative hunting and a distinct pattern of meat sharing . University College London. Stiner, M. C. (2009, 2009-02-01). Prey choice, site occupation intensity and economic diversity across the Middle to Early Upper Paleolithic at ĂśĂ§aÄźizli Caves I and II (Hatay, Turkey) . Invited speaker. New York University, Center for the Study of Human Origins (CSHO). Stiner, M. C. (2009, 2009-05-01). History and Deep Time, Part II: Epistemology and time frames in historic and prehistoric research . History and Deep Time, Part II. Radcliffe Institute for Advanced Studies Exploratory Seminar (Harvard University). Stiner, M. C. (2009, 2009-07-01). Tale of two caves: Prey choice, site occupation intensity and economic diversity across the Middle to Early Upper Paleolithic at ĂśĂ§aÄźizli Caves I and II (Hatay, Turkey) . Stanley J. Olsen Memorial Zooarchaeology Conference. Stanley J. Olsen Memorial Zooarchaeology Conference, Eagle Lake Field Station, California State University-Chico, California. Stiner, M. C. (2009, 2009-08-01). Changes in the â€ . Ecological Society of America, Annual Meeting. Albuquerque, New Mexico. Stiner, M. C. (2009, 2009-10-01). Site occupation intensity and regional population densities across the Middle to Early Upper Paleolithic . Scientific Workshop on Neanderthal Social Behavior; Seminar Commemorating the 100th Anniversary of the Discovery of Abric Romani in Barcelona, Spain. Universitat Rovira I Virgili-IPHES, Tarrogona, Spain. Stiner, M. C. (2009, 2009-10-01). Zeuner Honorary Lecture: Changes in the 'connectedness' and resilience of Paleolithic societies in Mediterranean ecosystems . Invited Plenary Lecture. University College London, Institute of Archaeology, London. Stiner, M. C. (2009, 2009-11-01). Hunters of the Acheulo-Yabrudian: Zooarchaeology of Qesem Cave, Israel . Invited lecture. Max Planck Institute for Evolutionary Anthropology, Leipzig. Stiner, M. C. (2009, 2009-11-01). Hunters of the Acheulo-Yabrudian: Zooarchaeology of Qesem Cave, Israel . Invited lecture. Museum fĂĽr die ArchĂ¤ologie des Eiszeitalters, Schloss Monrepos, Neuwied, Germany. Stiner, M. C., & none, . (2008, 2008-05-01). History and Deep Time: The Paleolithic . Institute for Advanced Studies Exploratory Seminar (Harvard University). Cambridge, MA. Stiner, M. C., & none, . (2008, 2008-10-01). Paleolithic diet breadth and demography . IVPP Paleoanthropology seminar. Institute for Vertebrate Paleontology in Beijing, China. Stiner, M. C., & none, . (2008, 2008-10-01). Zooarchaeological Research at Qesem Cave (Israel) . IVPP Paleoanthropology seminar. Institute for Vertebrate Paleontology in Beijing, China. Stiner, M. C., & none, . (2008, 2009-02-01). Changes in the â€ . AAAS/SWARM Meetings. U New Mexico, Albuquerque. Stiner, M. C., & none, . (2008, 2009-02-01). Paleolithic Societies . Leitner Program, Yale University. New Haven, CT.
Stiner, M. C. (2007, 2007-11-01). Hunters of the Acheulo-Yabrudian: The case of Qesem Cave, Israel . 2nd International Seminar CĂˇtedra Atapuerca. Burgos, Spain. Stiner, M. C. (2006, 2006-02-01). On the division of labor in Paleolithic societies . Guest lecture. University of California-Davis. Stiner, M. C. (2006, 2006-03-01). Bone preservation and diagenesis in Hayonim Cave, Israel . Guest speaker, brown bag. Harvard University. Stiner, M. C. (2006, 2006-04-01). Large mammal community turnover in the Levant 400-10 kya and its relation to the hominid cultural chronology . SAA. San Juan, Puerto Rico. Stiner, M. C. (2006, 2006-05-01). Paleolithic diet and the division of labor in Mediterranean Eurasia . The Evolution of Hominid Diets Meeting. Max Planck Institute for Evolutionary Anthropology, Leipzig, Germany. Stiner, M. C. (2006, 2006-07-01). Zooarchaeological and isotopic studies of the archaeofaunas of Qesem Cave . Qesem Cave symposium. Tel Aviv Univeristy, Tel Aviv, Israel. Stiner, M. C. (2006, 2006-08-01). Biomass and productivity variation in small and large game animals hunted by Paleolithic peoples in the Mediterranean region . ICAZ. Mexico City, Mexico. Stiner, M. C. (2006, 2006-08-01). Coastline dynamics and Paleolithic marine exploitation on the Mediterranean Rim . ICAZ. Mexico City, Mexico. Stiner, M. C., & Kuhn, S. L. (2006, 2006-04-01). A Hypothesis About the division of labor among Neandertals and modern humans in Eurasia . SAA. San Juan, Puerto Rico. Stiner, M. C., & none, . (2006, 2006-03-01). Diet breadth, demography and Paleolithic society . Guest speaker. Harvard University. Stiner, M. C., Rowland, J., M., S., & D., D. (2006, 2009-02-01). Inter- and intra-tooth isotopic variation in mammalian fossil tooth enamel from western Israel: implications for paleoenvironmental and Paleoclimate change over the past 400 ka . SAA. San Juan, Puerto Rico.